During weekends, hubby always prepares breakfast fo us. Its either, pan cakes, oatmeal or french toast. He made us french toast yesterday morning. 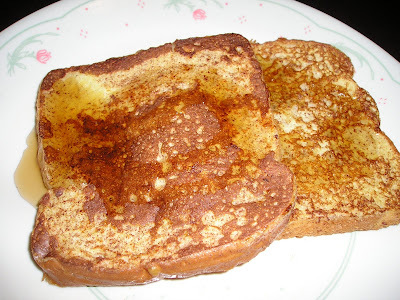 Preparing french toast is easy. All you need is bread, egg, cinnamon and butter, of course syrup when its done as toppings. 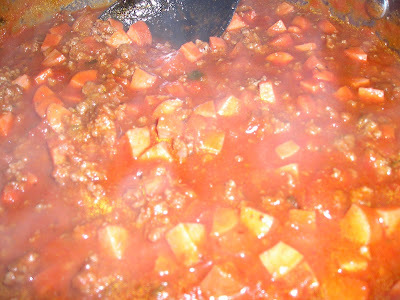 Here's a recipe from southernfood.about.com. When I first came to the States, I tried to discover what my father in law's favorite foods are. He love food that are sweets and snacks like that. I prepared him a spaghetti one time but it was Filipino style, you know the one with hotdog and a lil' bit of sugar in it. 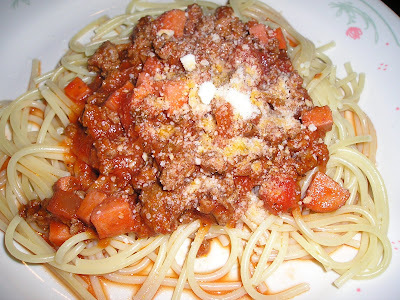 I was surprised that he liked it and since then whenever I prepare spaghetti, I do it Filipino style. He told me that the hotdog actually compliments the touch of sweetness on the sauce. He also love eating my lasagna..
My husband like the way I prepare it too. 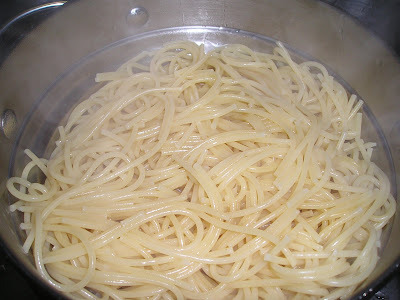 Before leaving home yesterday morning, he told me that if I decided to cook something, he would love to have some spaghetti, so that's what me and my kids prepared. My husband can eat a lot of spaghetti hehehe.. When we moved out from his house, I always call him to come over to our house every time I cook spaghetti or lasagna. Now that we are here, he told me that he is missing my spaghetti hehehe... I am so thankful that my Filipina close friend visits him once in a while and brings him some spaghetti too.. Thanks Manay Raquel!